Even the most assiduous printed circuit board (PCB) production process can create defects, faults, errors, and other problems. Many PCBs need robust testing early, and often. The proper PCB testing procedure can help accomplish that goal and do a lot more for your PCB production and product lead-time. Testing is a vital part of PCB assembly. Without proper testing, an entire printed circuit board lot can come to you flawed in more than one way. Having your product fail in the field is the wrong time to find out your PCB board has flaws. However, you also don’t want testing to slow down the production process unnecessarily. You also don’t want testing to occur so late in the process the results turn the whole production lot into a waste of time and effort. No single PCB testing system will meet the requirements of every manufacturing environment. Many factors should be taken into consideration when developing a PCB testing strategy. It is essential to focus on the proper test procedure for a particular product, financial scenario, and reliability perspective. The first step towards building any PCB testing strategy foundation is first to get a good understanding of the types of printed circuit board testing that can be utilized and which PCB testing types are most appropriate for the product’s lifecycle stage. 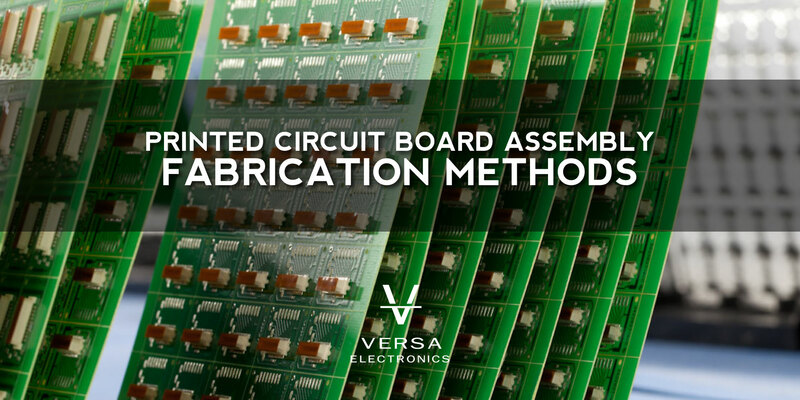 There are multiple approaches to addressing PCB testing and design to optimize the assembly process. Many PCB manufacturers prefer to employ one type of in-circuit testing (ICT) or another. Using ICT, a manufacturer can efficiently test individual components and their electronic characteristics. Traditional ICT requires a “bed of nails” fixture. These fixtures must go through a design phase to fit the circuit board. The fixtures typically come at great expense. ICT shines best when used for end-of-line testing of mostly stable, high volume productions. When the production doesn’t justify the cost, manufacturers must sometimes pass some of the fixture costs on to customers. A flying probe test, also known as fixtureless in-circuit testing (FICT), is another type of ICT. Flying probe eliminates the need for custom fixtures, which eliminates added fixture costs. FICT uses test pins that move based on programming (flying probes). A flying probe test checks for the same things as traditional ICT, but has the advantage of costing less and the ability to test both sides of a PCB. If a defect or problem shows up, the FICT system only requires reprogramming to produce a new piece without the defect. By contrast, and ICT can require an entirely new fixture. Programming guides the flying probes, which makes it possible to run tests that pinpoint highly specific areas and nodes. That level of accuracy works well with smaller boards and boards with high-density components. Functional tests are executed to certify that the circuitry functions according to design specifications. Testing is typically performed using DUT (device under test) connectors or a BON (bed of nails) fixture. A pogo pin device, a setup used to establish a temporary connection between two printed circuit boards, is utilized to conduct testing. The number of pogo pins, usually needed for a functional test fixture is significantly less than an ICT fixture. The boundary scan is a method for testing wire lines on printed circuit boards. Boundary scan is also widely used as a debugging method to watch integrated circuit pin states, measure voltage, or analyze sub-blocks inside an integrated circuit. DFM is the process of arranging a PCB layout topology to mitigate problems that could potentially arise during the PCB fabrication and PCB assembly processes required to manufacture the electronic system. The goal of design for assembly is to determine how to design a product such that assembly occurs most cost-effectively. Design for assembly (DFA) is concerned with a reduction of material inputs, capital overhead costs, and reduction of labor. There is a focus on the application of standards to reduce production costs and to shorten the product development cycle time. The cost of testing a completed printed circuit board can amount to as much as 30% of the total cost of the product. By designing a product optimized for test coverage and the ability to isolate faults quickly for both PCB manufacturing errors and component failures, design-for-test (DFT) becomes very meaningful to design for profitability. When designing new products, the complexity of supporting long product life cycles containing components nearing the end of life or at risk of becoming obsolete should be a consideration. Stock availability and alternate sourcing are some of the variables an experienced electronics contract manufacturer will consider when setting up a customer’s supply chain for raw materials. 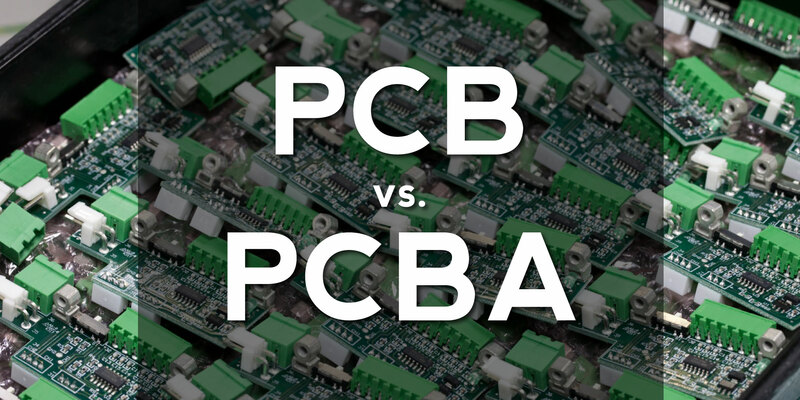 Depending upon your scenario, you may not require PCB testing at all. If a product is at a mature point in its lifecycle, a printed circuit board may only need minimal debug and test. 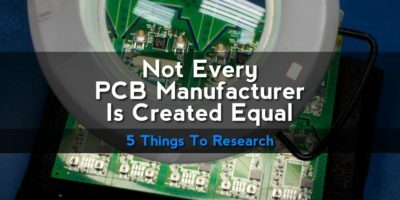 Not Every PCB Manufacturer Is Created Equal. What is the difference between PCB and PCBA? 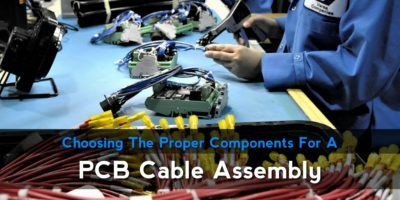 What is included in a Box Build assembly?